Front, back and flank impact safety. Leatt 3DF foam for impact absorption. Leatt High Density Poly Ethylene hardshell outer protective shield. Multi layer multi plate articulating design. Great fit and very comfortable by 3D design. 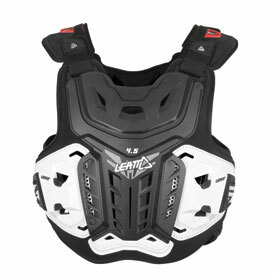 Removable front and rear plate function allows over and under the shirt fitting with a Leatt neck brace. Adult size fits riders from approx. 150 to 190 lbs. Adult XXL size fits riders approx. 190 to 240 lbs. I purchased this for my grandson, Charlie. He is extremely happy with it! Purchased for my 17 year old son. He loves it! Very comfortable. It does not restrict motion during riding. Offers great rib protection. I don't even notice that I am wearing it. I chose this model, because I wanted more rib protection than some other styles. Great protection and allows good air flow! I have wore this twice now and like it more each time I wear it! Comfortable, lightweight. Feel like this is much better protection than my previous roost guard. Was looking for Level 2 and this is a great buy! Love how my Leatt Neck Brace fits right in. As always, fast delivery from RM ATV Happy with my purchase! Well constructed and fit was perfect. Made to protect. Fit well with neck brace. I ordered the Jacki roost deflector and got a call saying they were sold out. Being gifted, I thought the mens just wouldn't do, but I had RM send me the mens anyway. I'm so glad they were sold out of the Jacki, I didn't like the pink anyway. Excellent roost guard. Not as heavy as it may look. Highly recommended. I have been out on the track a couple times with it so far. It's surprising that the added protection doesn't have a bulky feel. It felt great fairly light. It's very comfortable on a ride. I highly recommend it and the price is right. I felt it gives adequate coverage and I'm confident it will protect me if I crash. Leatt has always made great quality products! I swear by them! I did a lot of research before settling on the 4.5 and I can say it does not disappoint. Leatt made this an easily adjustable piece of armor and it fits under a jersey with no problems. It offers really great protection for the price, I have only taken one decent strike so far but it definitely stopped some damage. After some more use I will update the review. Fits tall riders really well. This roost guard fits me quite well. I don't feel it's heavy. Seems to offer good protection even for us tall long torso people. At 6'6" 230 lbs, it looks how its supposed to, not like the chest piece from a toy play set!. This is an XXL of course. This is an awesome chest protector. I would of spent the extra money for the 5.5 if I knew that they were that good. -First ride was a lovely, dusty Hollister summer day...90+ degrees...everyone complaining and wanting to head back. All but me, everybody thought I was messing with them. The big difference was in how much less I actually took my helmet off because I wasn't overheated. I could go on and on....so I will..
-Fit is good, got my whole beer belly protected now. Doesn't affect the fit of my camelback at all. This fits really nice, and for the price the protection is great, very comfortable and the side protection is really nice. I've only wore it 1 time. Fits very well ,easy to adjust , wore it around the house trying to get used to it, seeing this is my first chest protector. Wore it out on the track couldn't even tell I was wearing it. Should have bought one a long time ago!!!! Great chest protector. heavy duty but not too heavy. I would buy this again without hesitation. Provides good protection without being bulky and heavy. I don't even feel that I'm wearing this while I ride. Great deflector. Light weight and very comfortable. Does what it is built for with a good comfortable fit. Combines well with the Leatt neck brace. Have one full season of racing on this unit, has held up that a second season is guaranteed. Worth every penny! Fits great, super quality materials, thick plastic and triple foam. The description doesn't say that it also comes with rib protection flaps that wrap around your torso, which is a plus!!! Highly recommended!!!! At first I thought this was going to be uncomfortable but I recently hurt my ribs so it was necessary. I was completely surprised how comfortable it was and you almost forget you're wearing it when you're out on the dunes/trails. Love it and definitely recommend it. I recommend this to anyone who wants a chest protector that is light, doesn't get in the way, and offers great protection. I have yet to test it out ..."crash test", but it is a very durable looking protector I couldn't imagine it letting me down. I ride faster with this on! Perfect for the track or trail. I picked up one of these because i got tired of over-heating in the 5.5 Pro HD version i had prior. Way lighter and much much cooler in comparison. Being one of the few CPs with rib protection, it doesn't hinder movement or make you feel like your in a dummy suite. I ride 80%/20% MX-Tracks/Trails and it works flawlessly by itself or with a camelbak strapped on over it. for a CE certified CP, this one is by far the coolest and easiest to use regardless of where I ride. Offers a lot of protection from called and tree limbs. The waist band does wrap right around your belly and makes you sweat a lot. Ft is good and snug, does not move around. Also does not hinder movement in any direction. Would bug again. Can you wear this product under the jersey? BEST ANSWER: Hello Spencer, This deflector has been a great purchase. It is very comfortable and light weight. I personally wear it over my jersey, but it should fit under a jersey as long as the jersey is not too tight. Good luck. Yes, I just ordered this a few weeks ago. I wore mine under my jersey all day. Really comfortable and great quality. Bulkier than a non-impact rated roost deflector, but worked well under my jersey. Awesome man, thank you so much. Literally just placed a order for one!! Yes, but not with a neck brace. If I'm not wearing my neck brace I wear a jersey one size larger and the chest guard under the jersey. Yes absolutely it can be worn under the jersey. 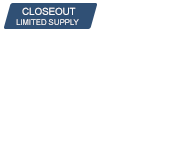 This is a very good chest protector - great form fit and usual leatt quality. This is not very bulky, so it fits under the jersey nice, I just had to get one size larger jersey though. you can stretch your jersey around and over your neck brace with a stretchy collar I wear klim and I stretch it right over the neck brace and it makes it all one unit. Will this roost deflector work with any Leatt neck brace? BEST ANSWER: Hello, yes this will work with any GPX and DBX Leatt brace with a center thoracic strut. Yes, Leatt neck braces are designed to match up with Leatt roost deflectors. You will not go wrong with Leatt. I believe it will. I use it with a current 4.5 neck brace and it fits perfect. Pop out the front panel and you are all set. The two pair up perfectly. Yes, I have the leatt GPX brace and it works fine with it. does this fit fine if your wearing this under a jersey with a neck brace? BEST ANSWER: If you have a little wiggle room you can wear it under a jersey. It is not super bulky but definitely more padded than the typical roost vest. Fit is good with a neck brace ,there is a removable panel and tabs on the shoulder straps. If you are looking for that extra chest and back protection this does a great job. I should know, I crash A LOT! haha! Yes, this will fit fine if you are wearing it over or under your jersey. There is a mesh base layer for comfort if you are wearing it under your jersey, and removable front and rear plates along with our BraceOn neck brace fitting system to allow over or under jersey neck brace fit. Depends on the neck size of the brand of jersey you wear. My son wears it with a Leatt neck brace and fits very well with it, but because of his size and the brand of jersey he wears, neck of jersey would not fit over the brace. So he wears it on the outside and is very happy with it. Depends on the size of your jersey and if the neck brace fits though the neck hole. I wear mine over top of most jerseys. No it’s to bulky for that. But works great with a neck brace and backpack. I'm 6' and 185 lbs. what size should I get? Mine is very comfortable and durable. I have the adult size. I’m 5’9” and weigh 155. If I were you I would probably get the larger size, and adjust it to fit. They do adjust for a better fit. Hope this helps. Hi Rich, the standard Adult size will be a good fit for you. Part number 5015300100 (black) or 5015300110 (white). I'm 6' and 180 pounds I got the adult and it fits me comfortably. the adult size should be perfect for you. I got the XXL and it fits great, I am 5'9" and 205. The adjustments can basically make it fit anyone. Will the Atlas Air neck brace fit inside the neck brace fittings (front & back) on this chest protector? I am 6' 5 and 190lb. what size would work best for me? BEST ANSWER: Hi Noah, standard Adult size will fit you best. The XL size gives more room around the chest and stomach area, but doesn't add a significant length to the chest and back. Which size would work best, adult or xxl? BEST ANSWER: Hi Nikki, I suggest the XXL size. Thanks. I’m 5’10 175 would the adult size be a good fit? BEST ANSWER: Hi Julian, yes, the adult size will be the best fit for you.